It’s often been said that ALIEN, is a “haunted house in space” movie, and that’s certainly the case with this movie which takes Ridley Scott’s 1980 sci-fi classic, and mixes it with Alfonso Cuarón’s GRAVITY. 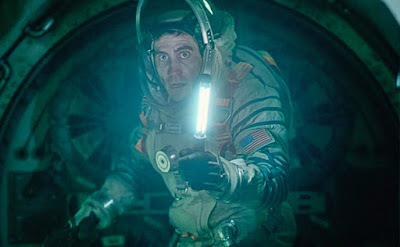 LIFE concerns a crew made up of Jake Gyllenhaal, Ryan Reynolds, Rebecca Ferguson, Hiroyuki Sanada, Ariyon Bakare, and Olga Dihovichnaya returning from a mission to Mars on the International Space Station with a soil sample that contains a single-celled organism. The organism, which is named Calvin by schoolchildren in a Times Square ceremony back on earth, quickly grows into a multi-celled Flubber-like creature that starts killing the crew members one by one. That’s basically it for the plot, as it’s all about the familiar fight for survival tropes that keep trapping the remaining cast members at every turn. There is some genuine suspense, and some stellar effects, but I found a great deal of tedium to be in orbit with these one-note characters. I will give kudos to the dark, twisted ending, despite the fact that it could easily set up a sequel as the idea of a LIFE franchise makes me cringe. But since this film flopped at the box office, it doesn’t look like that’s something I have to worry about. If you didn’t get enough of Shirley MacLaine as a controlling, crotchety old woman that everyone in town hates in Richard Linklater’s BERNIE, then this is the movie for you. 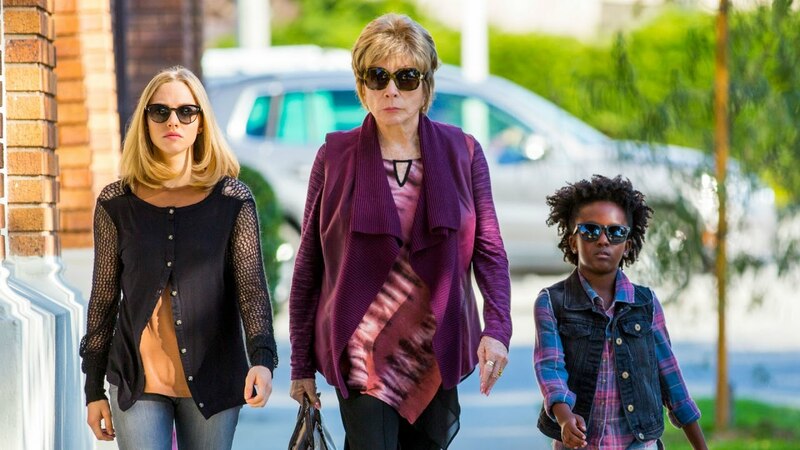 MacLaine plays Harriett Lauler, a wealthy, retired divorcee who wants to shape her legacy by getting newspaper obituary writer Amanda Seyfried to craft her eulogy before she’s dead. This leads to all kinds of cutesy-ness, with MacLaine’s Harriett mentoring an underprivileged black 9-year-old (AnnJewel Lee Dixon), becoming a DJ at a college indie rock radio station, and sticking it to the suits at the advertising agency that screwed her over. It’s one of those movies where everybody appears to be a familiar face. There’s Gedde Watanabe, best known as Long Duck Dong in SIXTEEN CANDLES (don’t expect a gong here), as Harriett’s gardener; there’s Tom Everett Scott from THAT THING YOU DO! As Seyfried’s editor, Joel Murray (Bill’s brother of many credits, but you may know him best from Mad Men) as Harriett’s former colleague, Thomas Sadoski from The Newsroom as Harriett’s radio station manager, Phillip Baker Hall as Harriett’s ex-husband, who has one of the film’s better scenes; and, yes, that’s Anne Heche as Harriett’s estranged daughter, who has one of the film’s worst scenes. The script by first time screenwriter does have ambition at times so there are moments of wit and honesty, but more often it feels like TV melodrama sprinkled with hot or miss one-liners. The irony in this movie about a woman wanting to be fondly remembered when she’s gone, is that MacLaine should have no such worry. She has an impressive filmography including a few of my favorite films, like THE APARTMENT and BEING THERE, so a lightweight piece of cheese like this won’t hurt her legacy at all. Another KING KONG Reboot, Anyone?